Manitoba Métis Athlete Wins Tom Longboat Award | Manitoba Aboriginal Sports and Recreation Council Inc.
On November 9, 2017 at Canada's Sports Hall of Fame Induction Ceremony in Toronto, Manitoban athlete James Lavallée will be presented with the prestigious Tom Longboat Award along with fellow Canadian athlete Joy Spearchief-Morris. The Tom Longboat Awards were established in 1951 to recognize Aboriginal athletes for their outstanding contributions to sport in Canada. The Awards provide a forum for acknowledging the growth and strength of the Aboriginal sport movement in Canada and its' tremendous impact on sport development from community level participation to elite level competition. 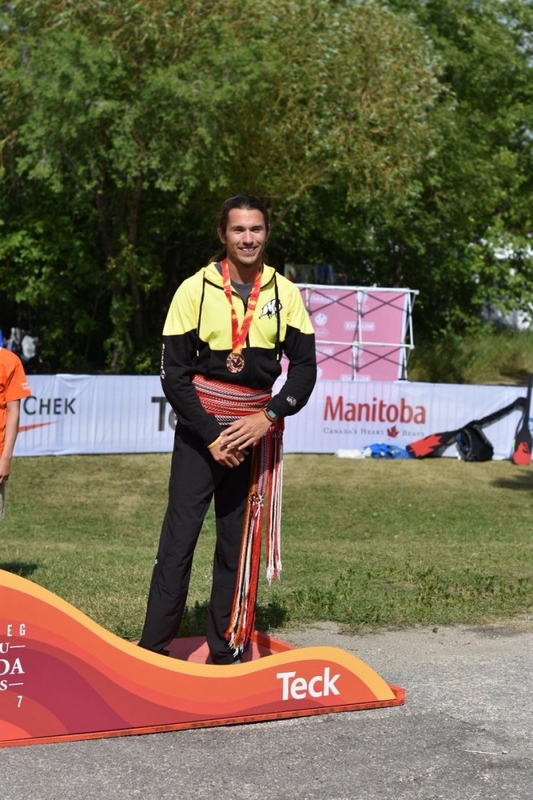 James Lavallée is a member of the Junior National Canoe/Kayak team, a proud Métis, loves the outdoors and is currently studying Environmental Science at the University of Manitoba. "James Lavallée demonstrates daily the positive attributes of being a leader. James quietly leads by example and speaks volumes by his actions" explained Dave Anderson, Team Manitoba Canada Games head coach. "James has a deep respect for all aspects of his sport. As James has grown, he has become more aware of his heritage and embraced it. This self-awareness of who he is seems fitting for someone in a water sport, as his respect for the environment plays a daily role in his life." Having struggled in school at a young age, sport has allowed Lavallée to gain self-confidence and as a result improve his ability to focus, work hard and succeed in his education. James' most recent accomplishments include winning three medals at the 2017 Canada Summer Games in Winnipeg. His work ethic and continued focus on his goal of being an Olympian is sure to lead James in the right direction.